You're digging out your driveway after a heavy snowfall when all of a sudden you wrench your back. The pain is intense. You want relief, and you want it right away. You take time off work to see your family doctor. You fight through traffic and pay for parking. 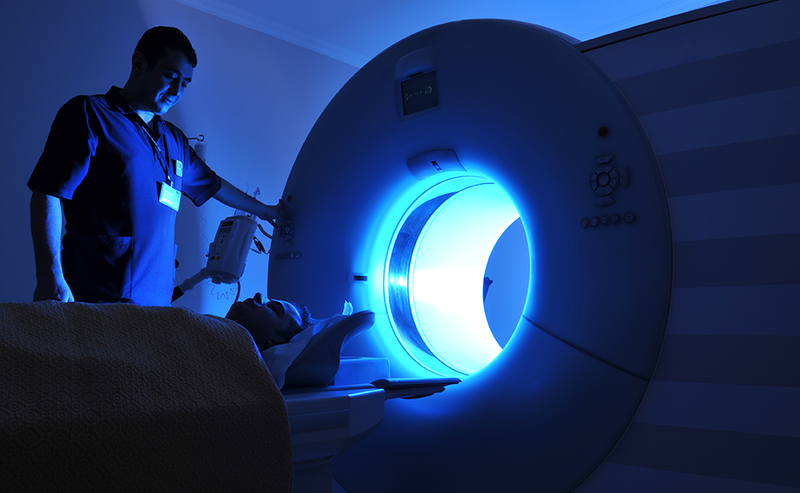 At your request, your doctor schedules a magnetic resonance imaging scan (MRI). When your MRI appointment finally arrives, it means another day off, more parking fees, and an hour spent thumbing through old, dog-eared magazines while you wait your turn. With your scan now complete, you're in the home stretch. You schedule another appointment with your physician to learn about the results. More time off, more traffic, more expense. It's been a hassle, but it will all be worth it when the MRI lets your doctor know what is causing your back pain, right? While an MRI can be an indispensable tool for diagnosing certain types of health issues, back pain is often not one of them. In fact, research shows than an MRI scan will likely reveal little in the way of valuable information about your sore back. Evidence also shows that while any imaging of a patient over roughly 40 years of age is likely to show some disc degeneration and spine changes, they don't always lead to back pain. In other words, getting an MRI for back pain is often a waste of time, tying up the MRI scanner while making patients who really need a scan wait longer. And often, back pain will resolve itself without any intervention. But here's the kicker: the problem of unnecessary testing isn't limited to MRIs. In fact, it is estimated that as much as 30 per cent of all medical spending might be unnecessary or provides little value to patients. Fortunately, Manitoba is getting a handle on this problem, thanks in part to the work being carried out through a little-known, but highly successful initiative called Choosing Wisely Manitoba. As the name suggests, Choosing Wisely Manitoba is made up of physicians, researchers and health-care administrators who are dedicated to the idea of improving care and promoting efficiencies and sustainability within the health-care system by identifying and eliminating unnecessary tests, treatments and procedures. The initiative is based on a model first developed in the United States in 2012 and later adopted at the national level in Canada. It was officially launched in Manitoba in 2014 through a partnership between Shared Health (formerly Diagnostic Services Manitoba) and the George & Fay Yee Centre for Healthcare Innovation (a joint venture between the Winnipeg Regional Health Authority and the University of Manitoba). 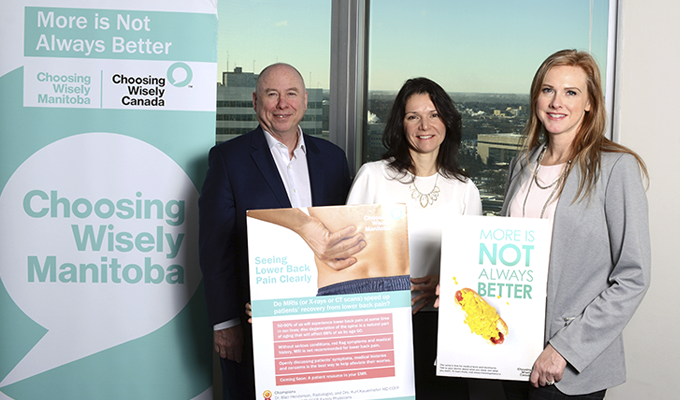 "Choosing Wisely is really about making the right choices for patients - literally, choosing wisely with the resources we have," says Jim Slater, Shared Health's Chief Operating Officer and a co-executive sponsor of Choosing Wisely Manitoba. And since its inception, Choosing Wisely Manitoba has done just that, reviewing hundreds of recommendations made at the national level and around the world, each of them aimed at optimizing value and eliminating waste. It is estimated that as much as $3 million has been reinvested in the health-care system over the last four years, thanks to the work carried out by health-care providers working through the initiative. Slater says Choosing Wisely Manitoba focuses on local needs and requirements. "The first phase of Choosing Wisely Manitoba's development was really about discovering how this fits. Can we customize it for Manitoba? Is there data to support that these recommendations would be acceptable and endorsable in Manitoba? And the answer was clearly 'yes,' and we've had tremendous support from clinical leaders," Slater says. There are, of course, many reasons why tests and procedures once deemed valid are no longer useful or effective. "Medicine is like language: it's taught from generation to generation," says Slater. "As you practise, so, too, did your mentor. It's that kind of culture of learning. So what we're teaching today is the art of asking 'Why?'" 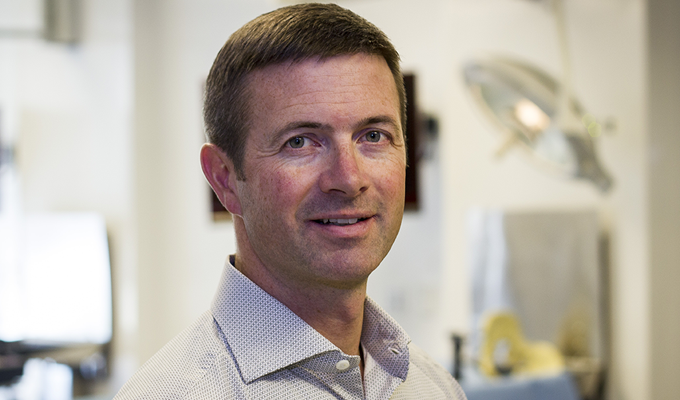 Dr. Eric Bohm, Director of Health Systems Performance at the George & Fay Yee Centre for Healthcare Innovation, and co-executive sponsor of Choosing Wisely Manitoba, says that another reason for poor choices is a system where medical advances can outpace clinician and patient knowledge. Dr. Eric Bohm says Choosing Wisely helps eliminate unnecessary tests. "Modern medicine is great at developing new knowledge; however, one of our biggest challenges is implementing this new knowledge and changing how we traditionally provide care. Choosing Wisely helps to address this challenge," Bohm says. One example is the pap smear (a screening procedure for the presence of precancerous or cancerous cells on the cervix). "We all know about women going once a year for a pap smear," Bohm says. "But what many people don't realize is that new technology has allowed us to go from an annual test, to a test every three years. Women are having trouble accepting that because they were brought up to have it done annually. But the evidence is that the new technology is so much better that we only have to do the test every third year." Testing for vitamin D deficiency - requests for which rose precipitously, from approximately 5,000 tests per year in 2006 to 50,000 completed tests in 2015/16 - provides another example. "In the vast majority of cases, there's no value in a vitamin D test. It's not going to help you, and it doesn't tell us anything," Bohm says, adding that it's well-known that most residents of northern latitudes, including many in Manitoba, are at least somewhat deficient in vitamin D.
A series of Choosing Wisely recommendations made in 2016 changed the ordering and requisition criteria for vitamin D testing, resulting in dramatic savings in both lab time and dollars. The savings were re-invested in the health-care system to provide care that is of more value to patients. "We were, until a few years ago, spending approximately $800,000 on vitamin D testing," Bohm says. "Now we spend just a few thousand." Slater is quick to point out that while Choosing Wisely can produce significant savings, they are a by-product - and not the primary focus - of the campaign. "Remember the movie Field of Dreams? It contained the advice, 'Build it and they will come.' Choosing Wisely is a case of 'Do the right things, and the savings will follow.' But if you go after the savings first, you risk not getting the necessary clinical buy-in. Cynics will walk away. You choose wisely because it has clinical value. And if you're choosing wisely based on clinical value, you're going to be spending money wisely." Adhering to the principles of evidence-based clinical value has been key to the campaign's success. "We're about doing the right thing, at the right time, for the right person, which can't happen if we're creating bottlenecks with unnecessary testing and procedures," Slater says. "The campaign encourages dialogue between physicians and patients - just bringing into focus the idea that not every test is necessary." Sarah Kirby, Research Program Manager for Health Systems Performance at the George & Fay Yee Centre for Healthcare Innovation, says that each Choosing Wisely initiative is clinician-driven and evidence-based. "Developed by professional societies representing different clinical specialties in Canada, Choosing Wisely's recommendations identify tests and treatments commonly used in each specialty that are not supported by evidence, and could expose patients to harm," she says. "Where the evidence is abundantly clear that a test, treatment or procedure can be easily eliminated or improved with no risk to patients, health-care professionals have typically been supportive of these changes." As an example, Kirby cites recommended changes to pre-operative testing - tests patients had to take before surgery. "We were taking otherwise healthy people going in for low-risk surgery, for example, and giving them a chest X-ray, full blood work, and an electrocardiogram (a test that records the heart's electrical activity, also known as an EKG). And now, based on solid evidence that those tests are often unnecessary and don't add to the quality of care, we've revised the guidelines to bring them in line with Choosing Wisely Canada recommendations. As a result, we saw a 37 per cent decrease in preoperative testing." Reducing unnecessary tests, treatments and procedures comes with a more important benefit: reduced patient risk. That was the case with the prostate-specific antigen (PSA) test, which is used to check for prostate cancer. When used as a screening tool, it can lead to false positive results that then lead to more testing, treatment and procedures. 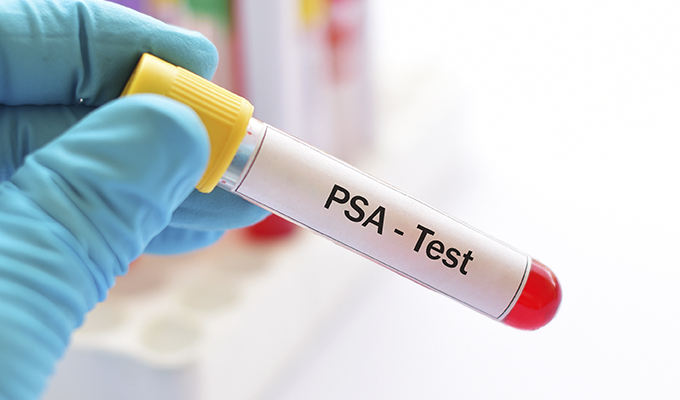 The Canadian Task Force on Preventative Health Care found that the potential small benefit from PSA screening is outweighed by the potential significant harms of the screening and associated follow-up treatment. "In addition to false positive test results, over-testing sometimes results in the detection of clinically insignificant cancers that would never have caused symptoms in the patient," says Kirby. "Once detected, the treatment of these insignificant cancers can result in adverse events such as incontinence and loss of sexual function." Then there is the question of causing undue anxiety. "Just the inconvenience of getting a test you really don't need, and the fear and anxiety associated with awaiting the results, are reasons to re-think the test," Kirby says. Christine Peters, Business Process Improvement Analyst and Project Manager with Shared Health, and a co-lead with Choosing Wisely, says that reducing unnecessary testing not only reduces risk, but helps Manitoba labs keep pace with ever-growing demand. "We know there is a lot of demand for tests, treatments and procedures that may not be required," Peters says. "Lab and diagnostics staff are in enthusiastic support of Choosing Wisely because they want to direct resources to emerging types of testing that will provide better value for patients." Peters says that many people don't realize the amount of behind-the-scenes time and labour lab tests commonly require. "Lab science is exacting work," she explains. "Take a blood test, for example. If the equipment produces a result that looks suspicious or out of the normal range, we have quality assurance processes in place so it isn't reported right away. The sample may be retested or evaluated by a technologist or other medical professionals until we're quite sure the result is accurate," she says. "It's really about efficiency, and if we can all be more efficient, then that will help us meet the increasing demand with our aging population." "It's about doing the right thing, and choosing wisely with the resources we have for the benefit of the patient," he says, adding that efforts to get Choosing Wisely adopted and accepted within Manitoba's medical community have been gratifying. "We've talked about how this is impacting their practice, how they can be doing more, about some of the barriers and obstacles they have, and how we can be more supportive. It's not about selling the program anymore, it's about how to make this work even better. It's been very impressive. And it's across specialties, from pediatrics to orthopedic surgery to internal medicine, family practice, pharmacy, nursing . . . it's across the board." The program even has a strong medical student component at the University of Manitoba, where Choosing Wisely has been embedded into the undergraduate program. Next up, Slater says, is an effort to increase public awareness and understanding. "Phase III, which we're currently in, is public-facing. We're doing a lot of work with our website, and with patient pamphlets and brochures." One tool that's proving useful for clinicians and patients is an explainer in the form of tear-away prescription pads. These one-page summaries help explain why certain tests, treatments and procedures aren't necessary for the patient. Each page also lists "red flags" to watch for - symptoms that can indicate the test or treatment may be required after all. "For instance, our vitamin D test prescription pad is really a prescription for not getting a vitamin D test. Another one is a prescription for not getting an MRI of your lower back when you have back pain," says Slater. "Physicians value them because they don't have to spend 20 minutes explaining why they aren't ordering an MRI. In essence, it tells patients, 'I care about you. I don't want you to have to wait 12 weeks for an elective MRI when you could be doing other things that might help you. But here's my prescription for you. If you have any of these red flags, if any of these symptoms appear, I'll get you an MRI right away, because that's important.'" In the case of acute back pain, those red flags include a history of cancer, unexplained weight loss, fever, a recent infection, loss of bowel or bladder control, abnormal reflexes, or loss of muscle power or feeling in the legs. If none of these additional symptoms is present, the patient likely doesn't need an imaging test. Slater says that the Choosing Wisely Canada and Choosing Wisely Manitoba websites are being improved, and provide a wealth of information for clinicians and the public alike. "Choosing Wisely is credible, scientific, and medically-proven. This is where you can get the best advice and the best information," he says. "The websites are great sources for the public. If you want to become an informed patient, an informed consumer of health-care services, and you want to know what are the right questions to ask your physician, I would want you to go to our websites." 62: Percentage of Canadians who agree that there is a significant amount of unnecessary care in the health-care system. 92: Percentage of Canadians who believe patients need more support to know which services are really necessary for their health. 68: Percentage of Canadian family physicians who agree that more tools are needed to help them make decisions about which services are inappropriate for their patients. Here are some examples of tests and procedures deemed unnecessary by Choosing Wisely Manitoba. In Manitoba, many patients presenting for low-risk surgery were receiving full preoperative assessments, despite the fact that these assessments did not improve outcomes. New documentation was implemented to help reduce cues that prompt unnecessary testing for all types of surgery. The revised documents were implemented in surgical sites across Winnipeg. Analysis of costs for all ordered tests showed a reduction of $31.59 per person (from $69.53 to $37.94 per person) from 2013 to 2017 audits. This represents a 45.4 per cent decrease in overall preoperative testing costs. Based on conservative estimates of the average weekly volume of 500-600 surgeries that meet the guideline criteria, this corresponds to an estimated $821,000 to $985,000 in yearly economic benefits that may be re-invested into the system. Between 50 and 90 per cent of people will experience lower back pain at some time in their lives. Patients wanting to pursue all options for diagnosis, treatment and recovery, are large drivers of inappropriate MRI and other medical imaging. This unnecessary testing can lead to more tests, and in some cases, patients undergo surgeries that they do not need. Patient education materials were developed as a first step in a pilot project at Boundary Trails Health Centre. These materials will be further supported by clinical guidelines, a provincial roll-out, and additional public awareness. Vitamin D deficiency testing in Manitoba increased exponentially from approximately 5,000 in 2006 to 50,000 completed tests in 2015/16. Evidence-based guidelines advise against routine testing. Accordingly, Choosing Wisely Manitoba implemented new ordering criteria and a new requisition (supported by Choosing Wisely Canada and Manitoba Endocrinologists) in early 2016. Manitoba continues to see a decrease in the ordering of this test, resulting in savings estimated at $800,000 per year, while paving the way for a redirection of resources to other diagnostic areas of need. 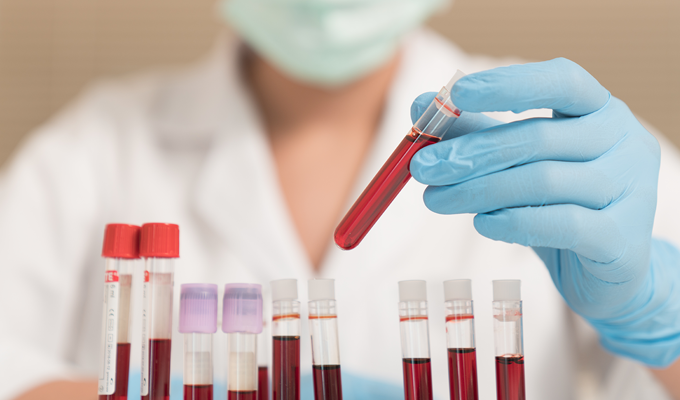 A pathology review involves testing blood, tissue and fluid samples to identify the potential cause of a disease. In many cases, these tests can be very helpful in helping to diagnose a health issue. But in other cases, they may be redundant or unnecessary, providing no clinical value or insight. As a first step in reducing non-medically indicated pathology testing, Choosing Wisely Manitoba set out to challenge the practice of pathology review on all orthopedic tissue from total hip and total knee arthroplasties. A review supported existing evidence and expert views that pathology review of waste tissue does not add clinical value to patient management. New standard operating procedures were implemented across Manitoba resulting in a 94.4 per cent reduction in hip and knee specimens received to pathology. This has resulted in an estimated annual savings of $73,514 in labour and supplies, which may be used in other areas of pathology testing. Additional initiatives are underway to streamline pathology services while improving quality and turnaround times.